Originally intended as a theatrical follow-up to Mask of the Phantasm, Boyd Kirkland's Batman & Mr. 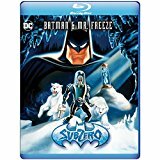 Freeze: SubZero (1998) is a direct-to-video animated film that brought the franchise full-circle during an extremely scattered decade. The spirit of Tim Burton and the influential Batman: The Animated Series was maintained in Mask of the Phantasm -- but when it bombed at the box office, Warner Bros. decided to camp it up with Joel Schumacher's Batman Forever and Batman and Robin. Both were lambasted by critics with increasingly smaller box office returns, while the second was directly responsible for Batman & Mr. Freeze's theatrical cancellation. Talk about bad timing: if both of these animated movies had been released a few years earlier (or even after the massive success of Christopher Nolan's Batman films), they might be better remembered. But like Mask of the Phantasm, Batman & Mr. Freeze was and still is a solid adventure that plays out like an extended episode of Batman: The Animated Series, which is not a complaint. It's only the villain's third small-screen appearance of five (the other four are included on this Blu-ray as bonus features, which is a nice touch), but the overall strength of the character makes it an entertaining and memorable little adventure...if not a bit too similar to past installments. Our story picks up in the Arctic where Mr. Freeze (Victor Fries, a former scientist whose terminally ill wife Nora remains cryogenically frozen) now lives with his adopted son Koonak and two polar bears, watching over Nora in her cryogenic vessel. When it's broken in an accident, her life is threatened and Mr. Freeze returns to Gotham City to pursue an organ transplant for his wife. With the help of his former colleague Dr. Gregory Belson, Mr. 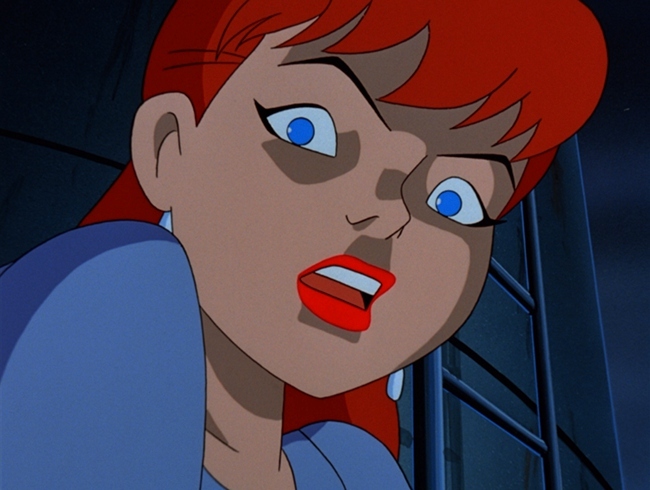 Freeze finds a living donor match in Barbara Gordon, daughter of the police commissioner and alter ego of Batgirl (not exactly the most low-profile plan). Once she's kidnapped for the transplant, Batman and Robin rush to rescue her from Mr. Freeze's hideout in an abandoned oil derrick five miles offshore after a little detective work. While Batman & Mr. 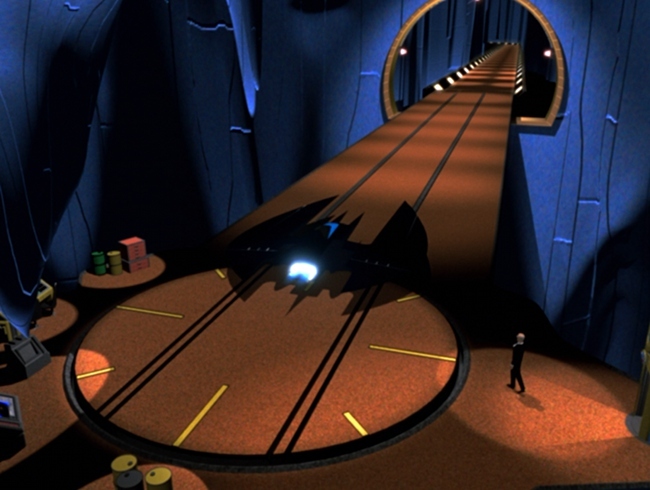 Freeze: SubZero is obviously a half-step down from the more ambitious and cinematic Mask of the Phantasm, this still an exciting and memorable adventure in its own right. Highlights include terrific locales and excellent hand-drawn animation, bolstered by another great orchestral score and a handful of fine action sequences. Less impressive elements include the setup (Mr. 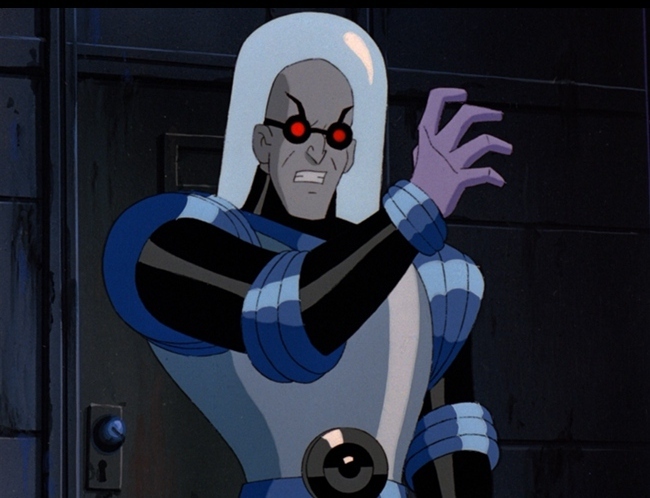 Freeze is a great character, but this walks the same "Nora" territory as his first two Batman: The Animated Series episodes), a few obvious plot holes, and the fact that our main villain has a twelve-year-old son and two polar bears. Somewhere in the middle is the addition of a few dodgy CGI elements, which look passable in some cases but often feel more like Gamecube-era cutscenes. Overall, though, it's still a great little throwback adventure that Mask of the Phantasm fans will enjoy while they wait for The Animated Series on Blu-ray in the coming months. And let's be honest here: Warner Archives' Blu-rays for this film and Mask of the Phantasm have mainly served to test the water for fan interest, and I'm glad it's been a successful experiment. (In a perfect world, though, SubZero would have been a Blu-ray double-feature with Phantasm, as the $22 sticker price for this 63-minute adventure feels a little excessive.) Luckily, it's paired with a quartet of standard-definition animated Batman episodes that originally aired between 1992 and 1999 which, along with SubZero, form the complete Mr. Freeze story arc. Anyone who owns all this stuff on DVD already won't be that impressed, but it's a great look for casual fans. Presented in its original direct-to-video 1.37:1 aspect ratio, Batman & Mr. Freeze looks predictably great on Warner Archives' new Blu-ray. The series' trademark all-black-everything visuals exhibit good shadow detail and just the right amount of contrast, with soft to crisp textures depending on the source material and environment. Color saturation is bold and vivid when needed, and there doesn't look to have been any blatant revisionism here. Furthermore, this dual-layered Blu-ray looks to be free from digital issues including noise reduction, edge enhancement, compression artifacts, and even banding (not a surprise, since the series didn't use many strong gradients). Overall, it's a solid presentation that, like Mask of the Phantasm, should make us even more excited for Warner's upcoming Blu-ray treatment of Batman: The Animated Series. DISCLAIMER: These compressed screen captures are decorative and do not represent the title under review. The DTS-HD 2.0 Master Audio mix, on the other hand, is less impressive...but if this represents the original audio, we can't be too upset. There are rumors of an existing 5.1 mix, but I haven't heard any hard evidence -- only this 1998 laserdisc, framed at 1.66:1 (cropped) widescreen with a Dolby Surround mix. Either way, this is an entirely front-loaded stereo presentation with decent channel separation, crisp dialogue, and a good balance between effects and background music. If nothing else, it sounds like a slightly beefed-up episode of the animated series, which isn't a terrible thing. Optional English subtitles have been included during the main feature only. Warner Archives' standard interface is clean, simple, and easy to navigate. Options are included for subtitle setup and extras; no chapter selection screen is offered, but there are 14 in all. This one-disc release is packaged in a standard keepcase with recycled artwork and no inserts. Just a few minor carryovers from Warner Bros.' 2002 DVD and other releases. 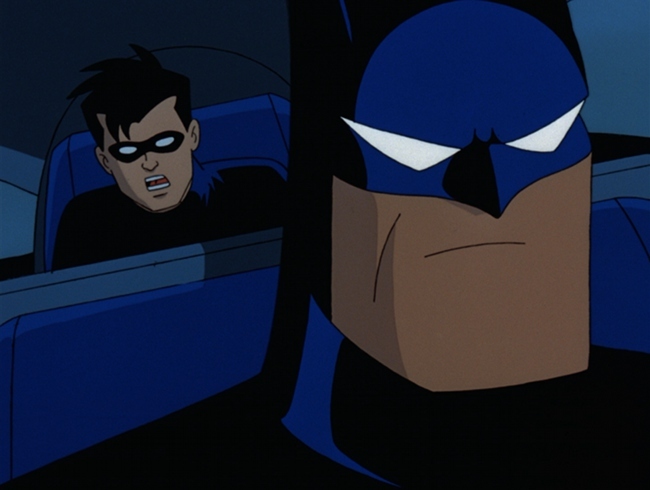 These include the brief featurettes "Art of Batman: Music Montage" (3 minutes) and "Get the Picture: How to Draw Batman" (1 minute), a Trailer (1 minute), and four Bonus Episodes of Batman: The Animated Series ("Heart of Ice" and "Deep Freeze"), The New Batman Adventures ("Cold Comfort"), and Batman Beyond ("Meltdown") that, combined with SubZero, form the entire 1990s Mr. Freeze story arc. Although I'd have loved to see the BTAS episodes fully remastered, they're still in production so these basically look identical to their DVD counterparts. Given the main feature's short running time, they add a bit of value -- but if you already own the DVDs, you might be disappointed. 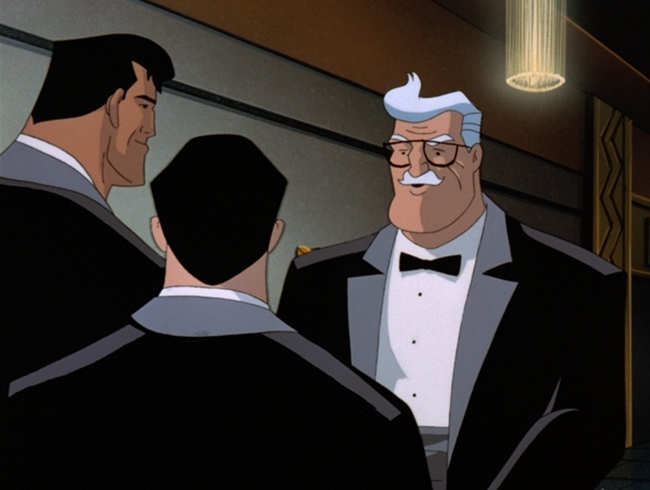 While it can't help but exhibit a few "second-tier" seams common in most direct-to-video animated movies, Batman and Mr. Freeze: SubZero is a worthy follow-up to 1993's Mask of the Phantasm and preserves just about everything that made The Animated Series such a durable and entertaining experience. If you're like me and kind of forgot about it over the years, Warner Archives' new Blu-ray is a decent way to revisit this hidden gem: paired with a strong A/V presentation and a few recycled but thoughtful bonus features, it's a good opportunity to build excitement for their parent company's upcoming remastered release of the animated series (even if, let's face it, this should have been a double-feature disc with the last movie). Firmly Recommended.